Our new endeavor is a print magazine that invites you to stop and wonder, to get up close and personal, asking all of the intimate questions for which there are only answers deep inside you. 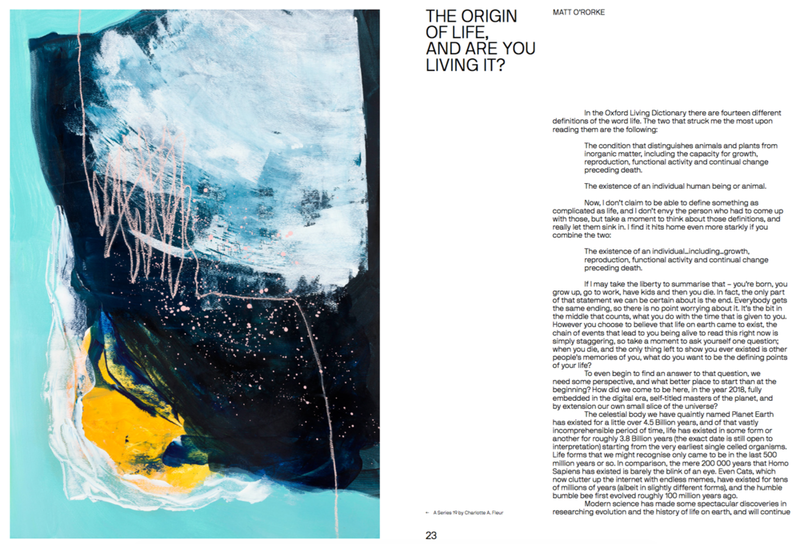 For issue 002 - Origins, we challenged our contributors to write about the origins of what is dear to them, from the changing habits of our generation, to life itself; from one's personality, to our plastic pollution crisis. 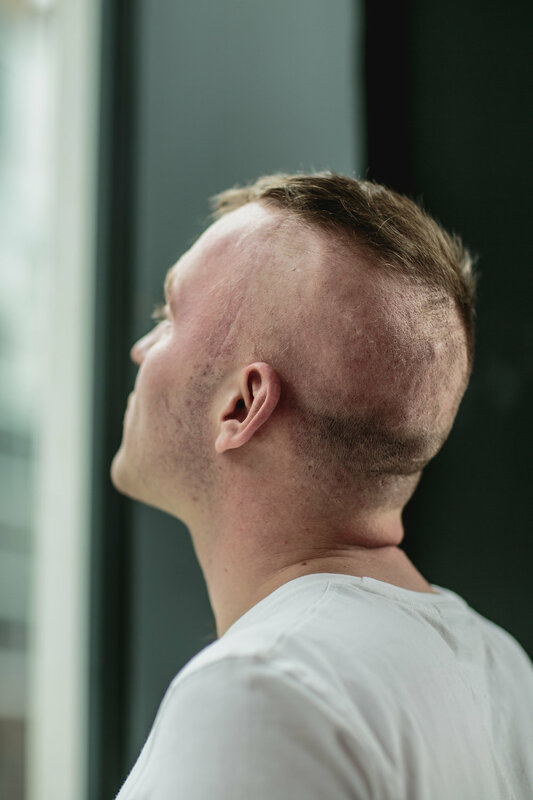 We sit down to discuss how the news of a small but inoperable brain tumour sets in motion a number of changes in how someone approaches life. We talk about being shaped by the way others perceive you; and communicating emotion through music. In this issue's art features, we explore how the birthplace of a piece of art impacts its subject and relationship with its audience, firstly in street art with renowned artist Vhils, and secondly by the use of self-made supplies with Emily Tapp. "This weekend I finally finished reading One Aware magazine 1st issue. This is a really fascinating read unlike nothing I have read before, with a really unique take on sustainability throughout. The magazine really made me stop and take the time to read properly and absorb the detail without wanting to skip a word, both enjoyable and thought provoking." Print magazines got a bad rep in the past few years when it comes to sustainability. We fully acknowledge this and worked to make One Aware as sustainable as possible. We have addressed all of the most common issues within publication (plastic coated paper, harsh chemical glues, toxic inks and air miles). You can become a contributor or submit your work to our next issue, themed Origins. Read more about contributing to One Aware.